Hair Salon Columbia Md. Vivid Hair Salon & Day Spa / Two Questions To ask your stylist before having your hair Colored | Best Salon and Spa in Columbia MD! If you want to get your hair beautifully colored, you’ve come to the right place! There are two opening questions you and your stylist should discuss before getting started. How do I know what is the best hair color for me?” Smart question! Hair color that looks the most natural and the prettiest is the one that matches your eye color and skin tone. For example, want to go blonde? That will work if your natural hair color is a dirty blonde or light to medium brunette. If your skin tone is cool, as in ivory or ashy, discuss ash or beige tones of blonde. For warmer skin tones like golden brown, creamy beige or café au lait, look to golden or straw hues of blonde. You can expect us to really question you about this. After all, it is the most important part of creating the perfect look for you! 2. “How do I make my color last?” Before you get your hair colored, make sure you deep condition it. Then, don’t wash your hair for at least 24-48 hours before your scheduled appointment. The natural oils in your hair will help hold the color longer. 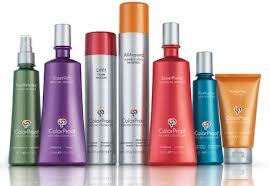 Do use a salon shampoo and conditioner designed for color-treated hair. We recommend Color Proof. The salon quality assures that it contains fewer detergents and is less aggressive. That means beautiful color longer. Got more questions for us? Great! Our passion is to make you look beautiful everyday!